Follow the latest WikiLeaks news, videos, and analysis from ABC News. 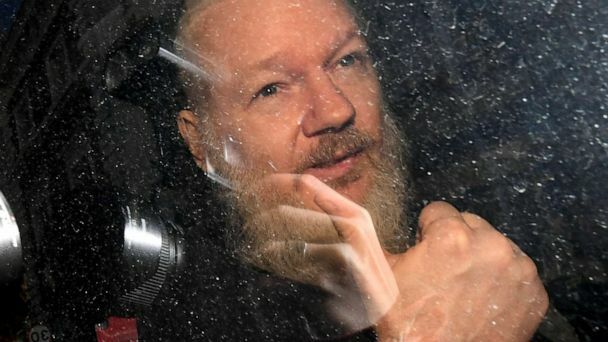 United States officials gave verbal assurances to Ecuadorian authorities that WikiLeak founder Julian Assange would not face the death penalty in the U.S.
Wikileaks founder Julian Assange could potentially face hacking charges in the United States. The WikiLeaks founder, who remains in custody in England, is charged in the U.S. with hacking U.S. military and diplomatic secrets. 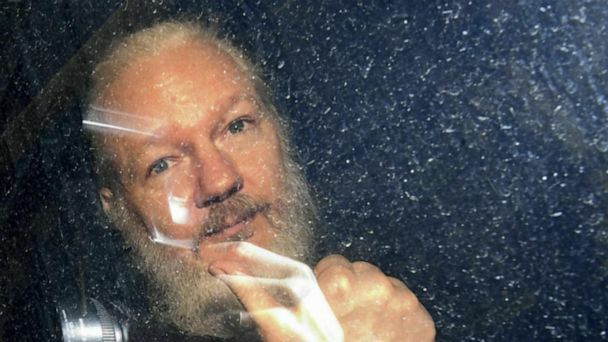 Assange faces a long extradition battle with the U.S. in connection with publishing classified government documents through WikiLeaks. ABC News' Mona Kosar Abdi reports. The pair have never met, with their first contact in 2010 over the internet. Julian Assange has been dreading the prospect of American prison, one of his regular visitors told ABC News' The Investigation podcast today. 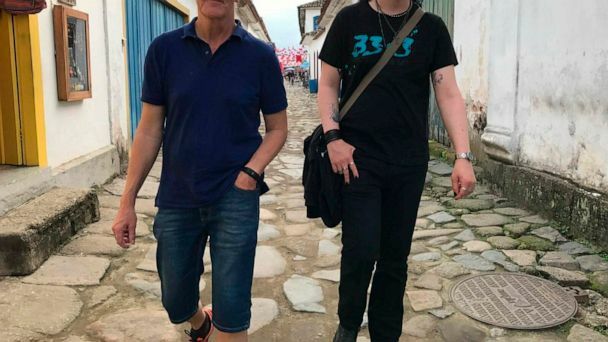 Assange was dragged from the Ecuadorian embassy after its officials described him as a houseguest from hell whobehaved badly and lived in squalor for seven years. Julian Assange was arrested in London on behalf of the U.S.; Georgetown faces a vote on a student fee that would create a fund for the descendants of former slaves that were sold by their school. 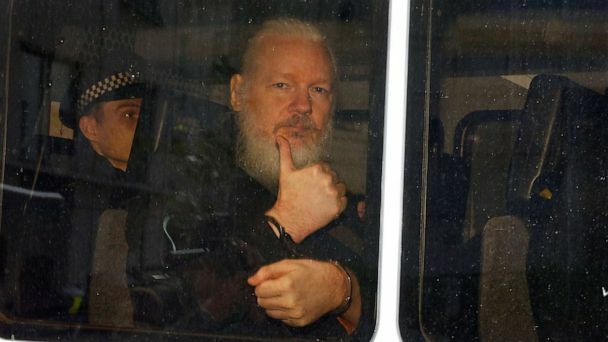 The Justice Department doesn’t expect Julian Assange to be brought to the U.S. anytime soon to face the conspiracy charge against him, a DOJ official told ABC News. WikiLeaks founder Julian Assange was arrested at the Ecuador Embassy in London. The president reacted to the arrest of WikiLeaks founder Julian Assange. Julian Assange's life in the Ecuador Embassy was marked by "discourteous" behavior and bad hygiene reports. Charges unsealed Thursday against WikiLeaks founder Julian Assange focus on what prosecutors called a computer hacking conspiracy dating back to 2010. The president during the 2016 election offered effusive praise for Wikileaks' efforts to undermine Hillary Clinton's campaign. Julian Assange was taken into custody after his asylum protections from the Ecuadorian government expired. 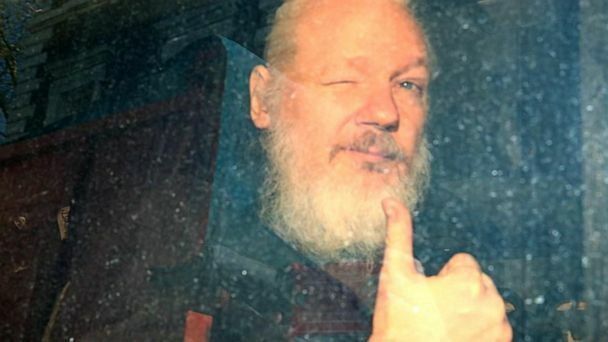 Assange was arrested on a 7-year-old warrant at the Embassy of Ecuador in London, and is currently being held in a police station. 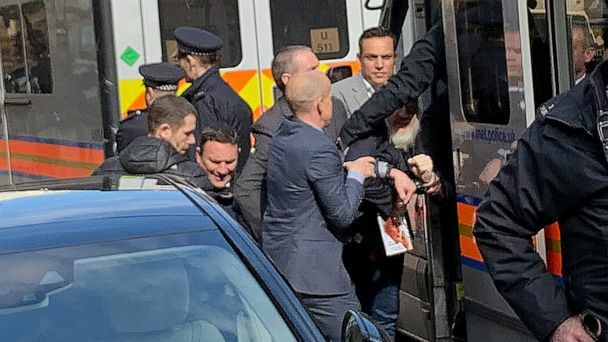 Assange was arrested on a 7-year-old warrant early Thursday at the Embassy of Ecuador in London, and is currently being held in a police station. Supporters of WikiLeaks founder Julian Assange are expected to ask a U.S. district court to unseal the mystery case against Assange that prosecutors mistakenly revealed. ABC News' Pierre Thomas reports on why the name of Julian Assange accidentally appearing in a newly unsealed case could have implications related to the special counsel's investigation. WikiLeaks founder Julian Assange is famous for publishing government secrets. 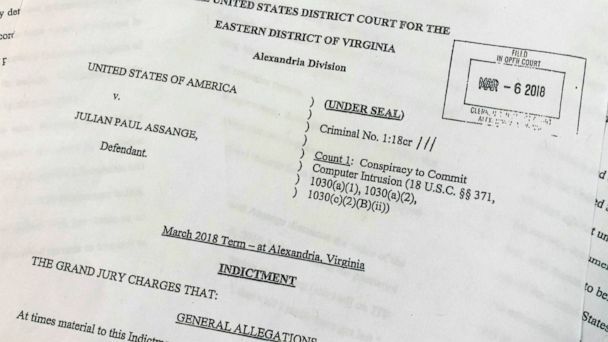 The WikiLeaks founder appears to have "been charged" with a crime, according to newly unsealed court documents that were inadvertently disclosed by federal prosecutors. Was there a plan to help Julian Assange escape to Russia? Diplomatic credentials might have given Assange immunity. As his residency at the Ecuadorian Embassy in London enters its seventh year, Assange is facing a pair of converging crises that have left his allies worried. Lawyer for Wikileaks publisher Julian Assange talks to ABC News about her client's feared extradition to the U.S.
Assange has been living at Ecuador's embassy in the U.K. since 2012. 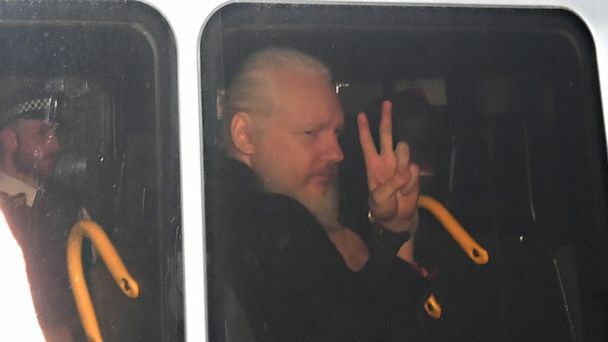 Prosecutors in Sweden said they would drop their investigation into the WikiLeaks founder, who sought refuge in the Ecuadorean embassy in London. 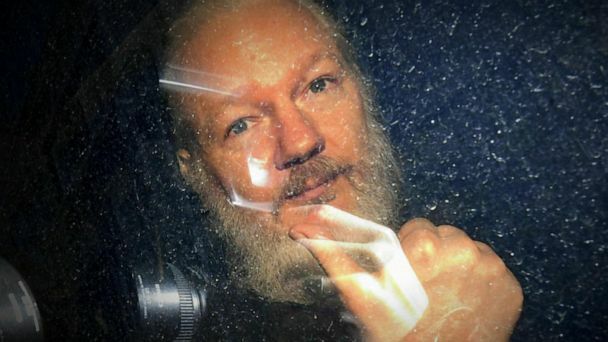 U.S. authorities have been engaged in discussions over whether to seek charges against founder Julian Assange, according to a source familiar with the matter. Several national security issues were discussed, including Trump's unsubstantiated claim that Obama wiretapped the phones at Trump Tower. Assange said he would provide manufacturers with the CIA's technical details -- before making them public -- so that they could work to patch any vulnerabilities. The CIA has not confirmed the authenticity of the documents. The hunt for the mole by the FBI is focused on a nondescript building outside Washington, the headquarters of the top secret Center for Cyber Intelligence. Officials believe whoever was behind the leak had to have access to a classified network called JWICS. ABC News' Martha Raddatz reports on how the CIA is reacting to the release of what WikiLeaks claims are thousands of secret CIA files. In Congress, members said they were concerned that enemies of America could now use the CIA techniques against Americans.